Bowfin! 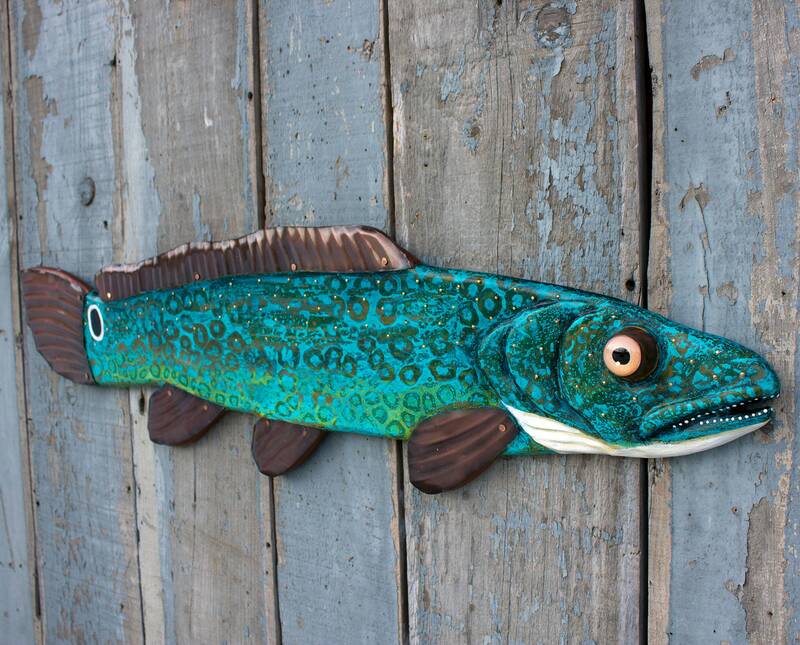 37"Wood and Metal Fish Wall Art, Colorful Folk Art Fish, Fish Wall Sculpture, Lodge decor, handcrafted in Vermont, unique gift for the angler in your life! 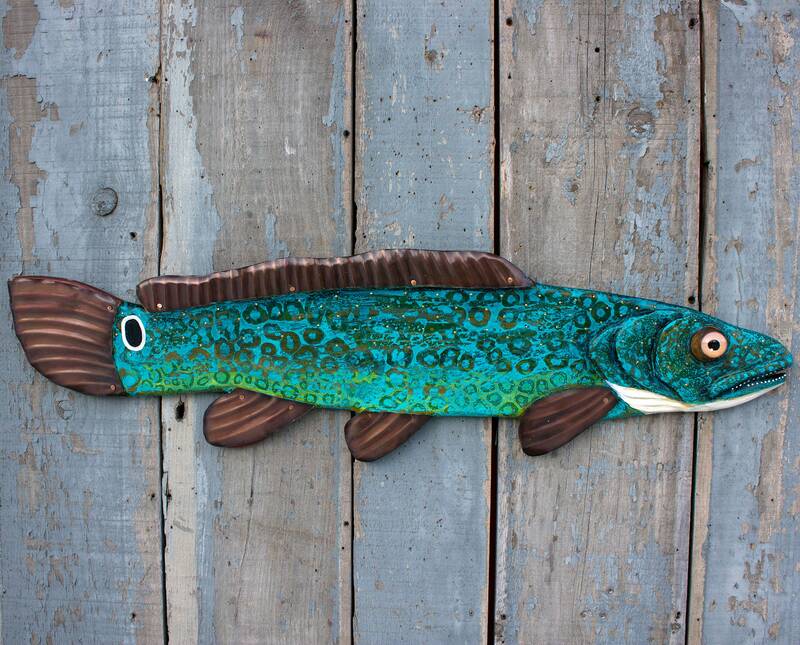 This Turquoise Bowfin will look awesome swimming on your wall to remind you of your last fishing adventure or just to make you happy! 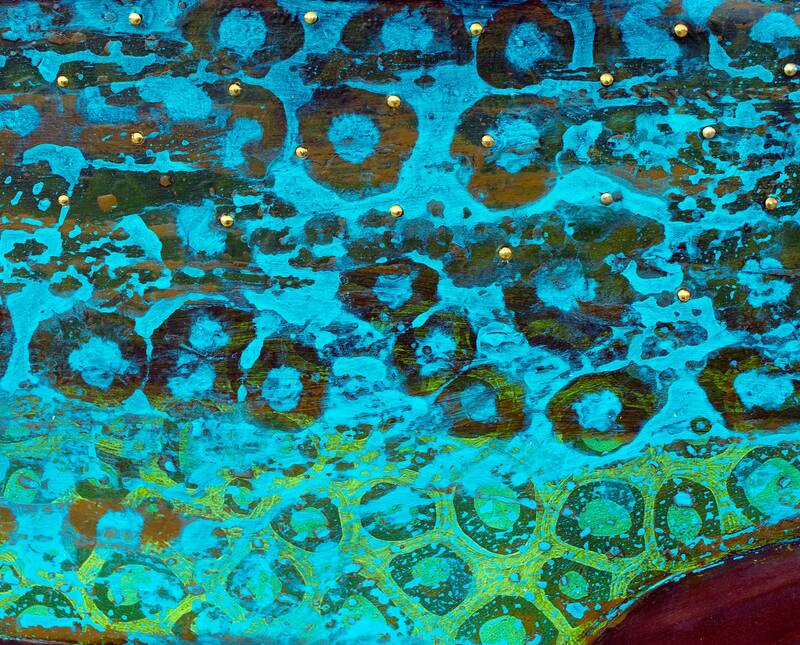 This Piece is carved from wood and hand painted in a gorgeous faux turquoise pattern that reminds with gold tacks running along his flanks that catch the light and remind me of how the light hits scales. 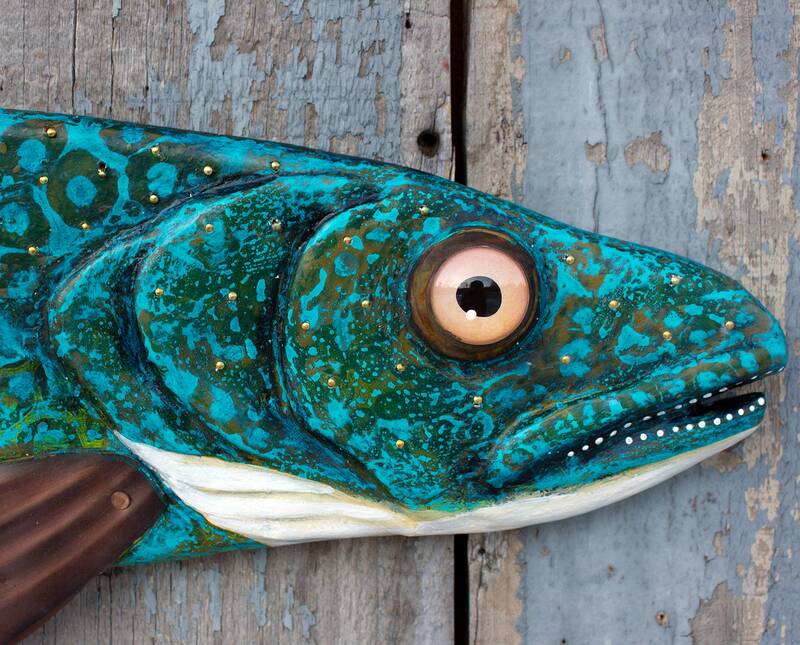 Its fins are copper that I hammered and oxidized for a nice patina that looks amazing against the painted wood. I reverse paint clear glass cabochons for the eyes and added a little bling behind it with re-purposed metal . 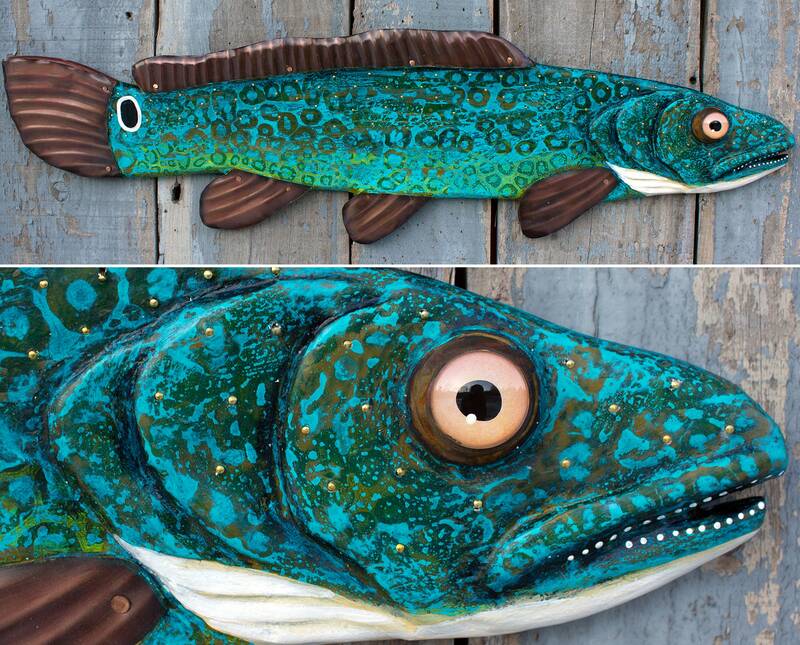 This particular fish would look great hanging great over a doorway, over a mantle, swimming in the bathroom, or even hanging outside on a porch/covered deck. IN STOCK and ready to ship next day! FREE SHIPPING via Fed Ex Ground to the lower 48 States I am willing to ship outside the country message me for a shipping quote.